This is a nightmare come to life. I mean, now we can add another fear to our ever growing list, and this one didn’t come out of some horror movie, this one came out of real life. 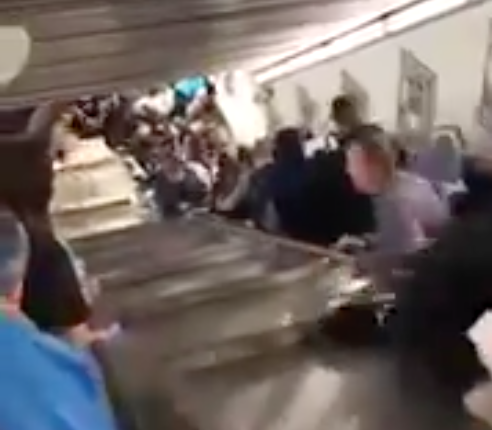 An escalator in a subway station in Rome sped up randomly and without warning, injuring at least twenty people in the process. A video of the moment was taken, and can be watched below. Many of the injuries were caused due to the cutting up of feet, and many of those injured included Russian soccer fans caught in the accident. 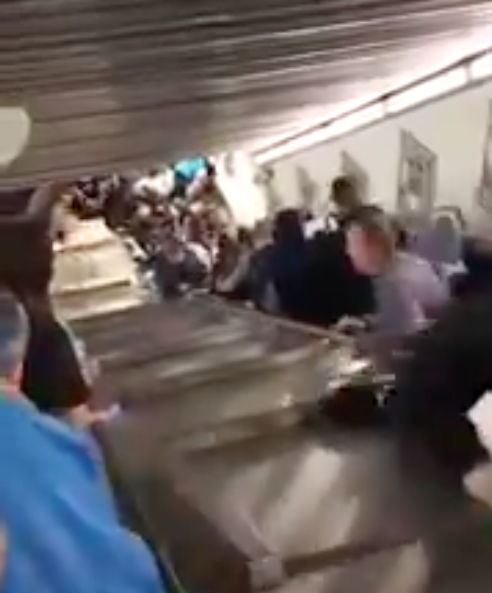 In the video we can see one man try to pull an individual to safety on the parallel escalator, before the individual worked their way down in a way that was safer than the violent pile up that occurred. Photos have been released, courtesy of the New York Times, of the broken downward blades of the escalator, and one can see just how badly the steps on the bottom got in order to so violently cut the feet and ankles of those who were unfortunate enough to be caught in this freak accident. Rome’s transportation company ATAC has opened up an investigation into what caused the escalator to speed up like this. Rome’s Mayor, Virginia Raggi however stated “From some testimonies, it looks like some fans were jumping and dancing on the escalator”, which feels like a roundabout way of blaming victims for the fact that your escalator system did something no escalator is supposed to do, but hey, you’re the one who chose to be weird about this, not me.